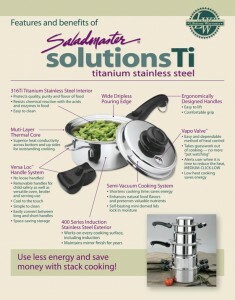 Saladmaster cookware is the only set you will ever need ! 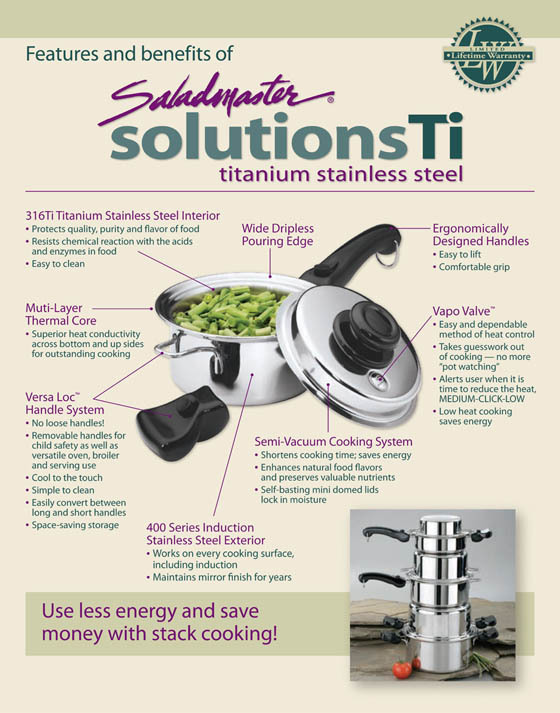 It has a life time warranty, uses the highest grade of metal 316Ti in the cookware industry, and is manufactured in an environmentally friendly facility in America. It maximizes nutrition without leaching chemicals into the food and does not require the use of oils or water to cook foods.